Blake's curriculum is both expansive and deep. Our students get an education that's traditional and well-rounded. Coursework encompasses humanities and social studies, STEM courses, the arts and physical education. Within each subject area, a highly qualified PK–12 Chair oversees curriculum development across grade levels, ensuring that instruction is comprehensive, integrated and challenging. Our curriculum also allows for extensive exploration of personal interests. Whether students have a passion for speech and debate or filmmaking, mathematics or Mandarin Chinese, we offer courses to satisfy their intellectual curiosity. Students in humanities and social studies courses build excellent reading and writing skills, global competency and a sense of social responsibility. They learn to read critically and express their views thoughtfully. They discover their social world and develop empathy. Intensive language study further prepares them to become global citizens. 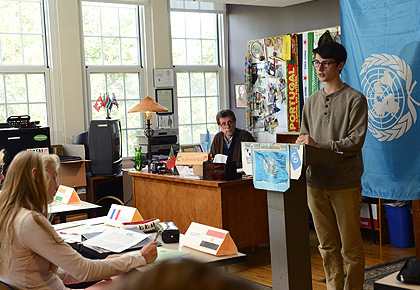 Students study literature and language in tandem with cultural studies – for example, studying world literature and world cultures simultaneously in grade nine. They come to understand the deep connections between different disciplines. 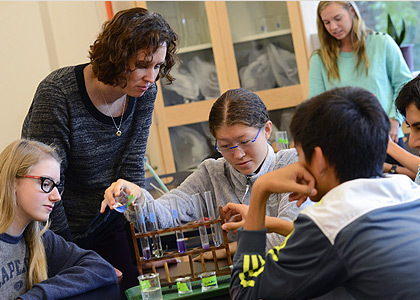 STEM courses develop students' passion for inquiry, experimentation and problem solving. Our youngest students explore their world and test hypotheses through guided play. Upper School students continue this creative, hands-on experimentation as they master traditional hard sciences. At every level, use of the scientific method is second nature. In every division, the curriculum infuses engineering principles and the language of computer programming. Students have the opportunity to learn by doing through observation, postulation, and experimentation. Blake science coexists with a mathematics program that is far from formulaic. Math courses are designed to allow students to explore each new concept in great depth and apply their learning to real-world phenomena, helping to ensure mastery. Students also have access to state-of-the-art laboratory facilities that complement the rigorous curriculum. 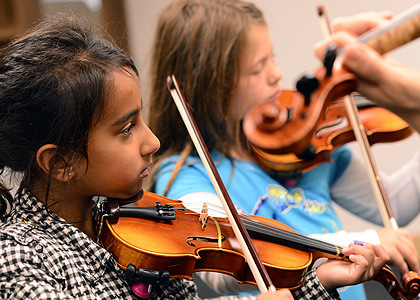 At Blake, we believe the arts are fundamental to a great education. All students participate in the arts – visual arts, music, and performing arts – from pre-kindergarten on, specializing more as they get older. Coursework reinforces skills taught in traditional academic courses: effective communication, creative thinking and problem solving. All students at Blake participate in physical education and athletics, developing self-discipline, teamwork and leadership skills in the process. 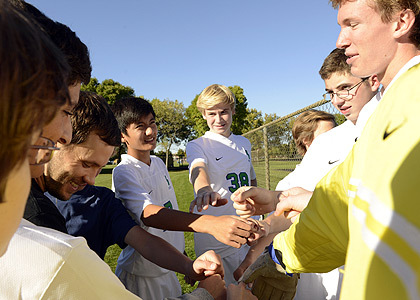 Diverse offerings help every student find the activity or sport best suited to his or her needs.